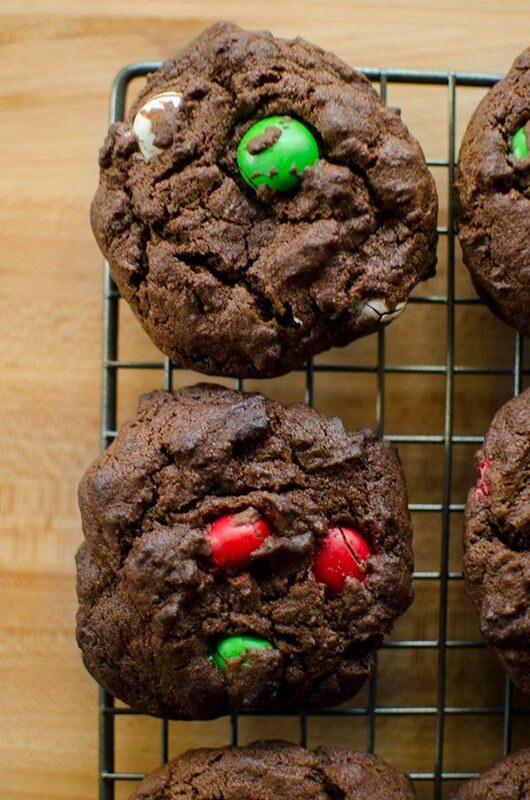 Chewy chocolate peppermint cookies are the perfect easy drop cookie for the holidays. Looking for more holiday recipes? Try my overnight smoked cheddar strata. Can you even believe that we’re talking holiday baking already I know, I can’t believe how quickly these last few months have flown by. I feel like I’ve been going a mile a minute, but I’ve really been trying to consciously slow down and enjoy this season; taking quiet moments to help keep myself sane. After all, we’re in the busiest time of year for basically everything from family commitments to work. A big part of the way I am doing that is through baking. I’ve always found baking to be therapeutic and relaxing, and a recent survey commissioned by Becel® showed that 65% of Canadians agree. This reminds me of a favourite moment from Julie & Julia where she says “I love that after a day when nothing is sure—and when I say ‘nothing’ I mean nothing!—you can come home and absolutely know that if you add eggs yolks to chocolate and sugar and milk, it will get thick. It’s such a comfort.”. I couldn’t agree more. 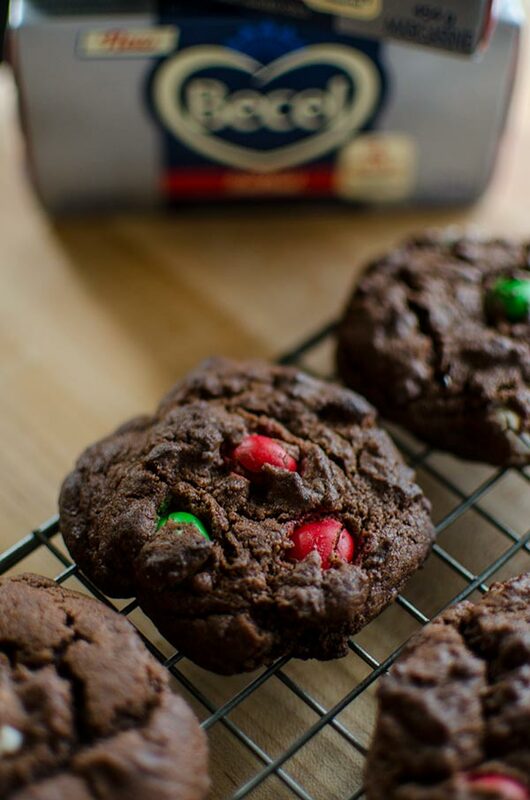 For these chewy chocolate peppermint cookies, I used Becel® Anything Goes Cookie Dough as the base and inspiration behind this holiday cookie recipe because I knew it would make the perfect soft and chewy cookie. I made a few tweaks, because I knew I wanted to make a chocolate peppermint cookie so I adjusted the amounts of dry ingredients to add cocoa powder and holiday flair with everyone’s favourite flavour of the season, peppermint. Both in the form of peppermint extract and candy-coated peppermint chocolates. I used the new, limited-edition Becel® Sticks (which come in every home baker’s favourite 1/2 cup pre-measured sticks) which can be used straight from the fridge and can replace butter 1:1 in virtually all of your favourite baking recipes and are incredibly easy to work with. This recipe is so simple (it’s a drop cookie!) that you can easily make it in the morning before work (trust me, I tried it multiple times), so it would be the perfect cookie to bring to a potluck or holiday party when you’re strapped for time. I always make a ton of holiday cookies, so having a simple recipe like this that is bound to please even the pickiest members of my family is key. I love peppermint and chocolate together and these are extra chewy! If you can’t find green and red M&Ms, regular chocolate chips would work as well, but they wouldn’t be quite as festive, but hey, that’s ok! Preheat oven to 350F. Line two baking sheets with parchment paper. Combine flour with cocoa powder, baking soda, baking powder and salt in a medium bowl; set aside. 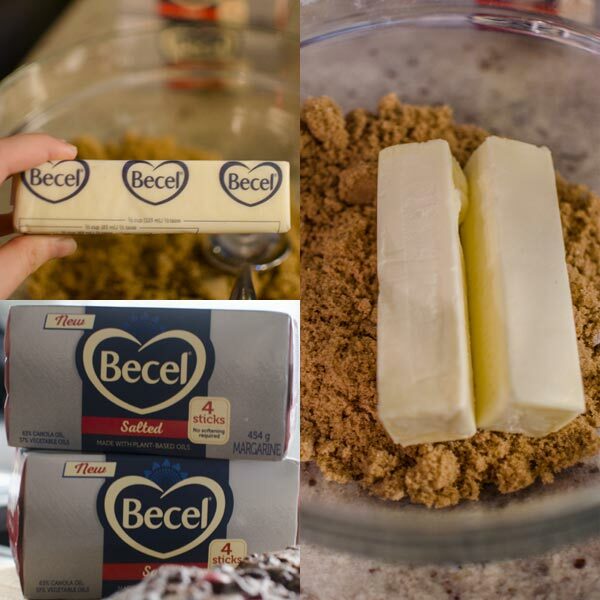 Beat Becel® Sticks with brown sugar in a large bowl until light and fluffy, about 3 minutes. Beat in eggs, one at a time, followed by extracts. Add in flour mixture in two additions; beat until just blended. Stir in peppermint chocolates. Drop by 2 tbsp portions onto baking sheets, each dough ball should be about 1-½”. Bake for 9-11 minutes. Cool for 10 minutes on baking sheet, then remove to a wire rack and cool completely. Repeat with remaining dough. 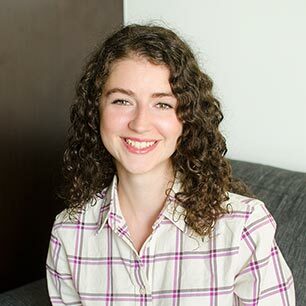 Disclosure: This post was sponsored by Becel® – as always, all opinions are my own. 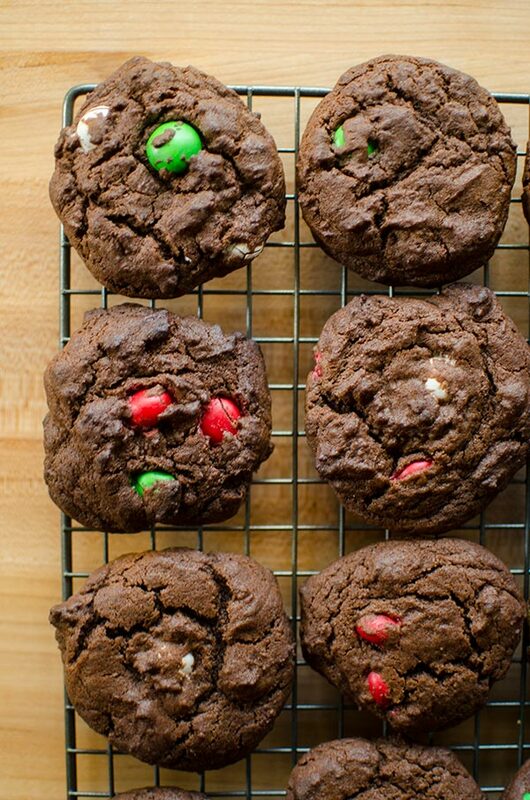 Thank you for supporting my sponsors and allowing me to continue creating recipes like these chewy chocolate peppermint cookies. Thanks Katie, let me know how they go!